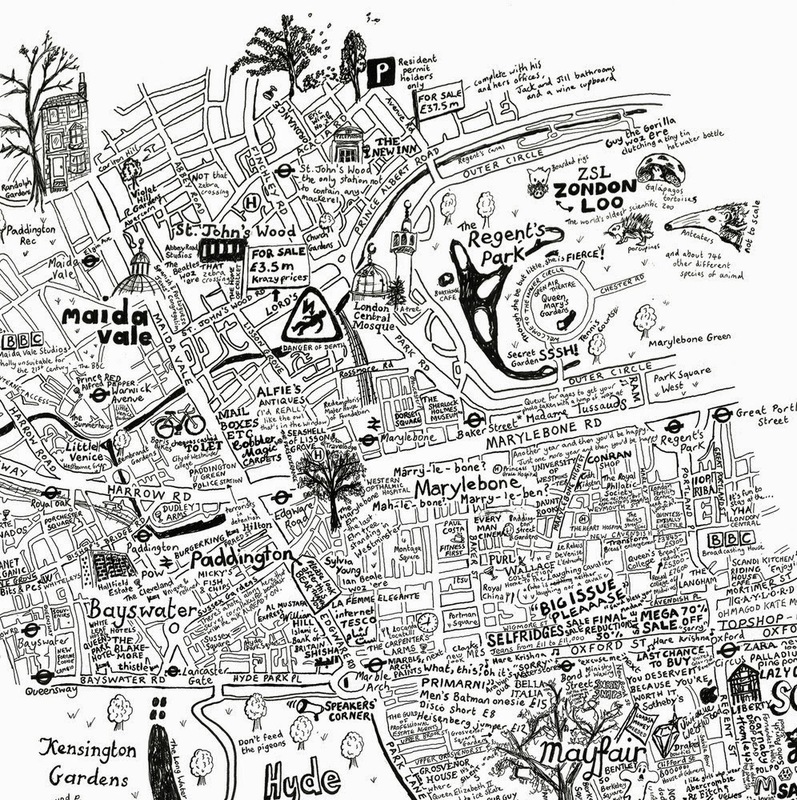 Lovely Jojo designs graphics and prints, including a range of hand drawn maps of parts of London. 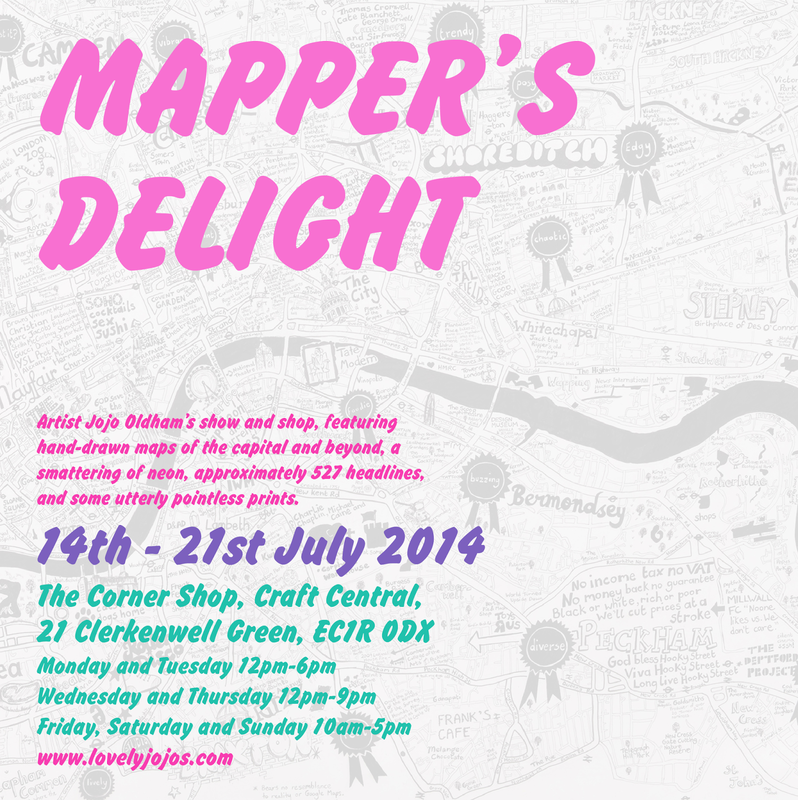 She's opening a pop-up shop for one week in Clerkenwell, starting Monday 14th July. "Simple and honest graphic prints, cards, t shirts and general good stuff from a northern girl who wears a lot of neon, loves mushy peas and still calls dinner tea. If I’ve brought a smile to someone’s face with something I’ve made then I consider that a job well done. Even if everyone else is a bit confused."